March 4 is International GM’s Day! Since 2002 this day has been designated as a time to appreciate your local game master for all the hard work they put into giving you an enjoyable gaming experience. 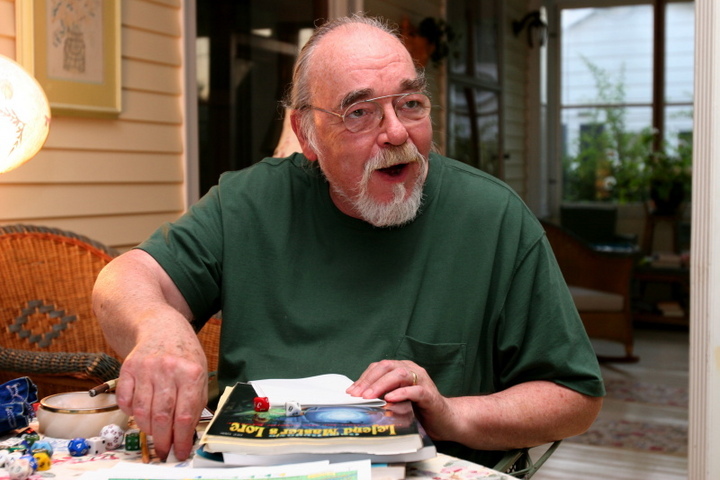 It is also, coincidentally, the fifth anniversary of the death of E. Gary Gygax, the grandfather of all GMs and father of Dungeons & Dragons. You can also celebrate “Read an RPG Book in Public” week. This celebration of gamer geekdom was created by The Escapist and is celebrated three times a year (because once just isn’t enough). So get out your old Player’s Handbook and give it a read in a coffee shop. Return the pencils you stole from your GM. Thank your GM for their hard work and imagination. Players and GMs alike should take the opportunity to celebrate what they each bring to the table to make a fantastic hobby. « Has Your Mystery Machine Flown Off the Path?